In my practice, as an attorney, I have focused much of my career in helping those that have been injured and require medical care. Though I tell my clients that I possess a juris doctor degree and not a medical degree, my office bookshelves are lined with far more medical textbooks than legal books. I spend a great deal of my time researching and evaluating doctors who are involved in my cases and the medical issues presented in those cases. Despite that effort and my experience, I have never and would never venture to give advice on a specific treatment regarding any condition that a client of mine may have suffered. However, I will frequently offer my opinions concerning the appropriate health care professional to address my client’s health care problems. It is important for all patients, especially my clients, that they be placed in good competent hands for any medical care that they require. Therefore, there are certain standards that I look to in considering where and with whom my clients should be placed. Anyone can engage in this kind of review for themselves, if you have a computer and access to the internet. If you are looking for a doctor, I would encourage you to follow this advice. No matter what your health issue, you have the first and ultimate obligation to be knowledgeable about that condition and to protect your health. With the availability of the internet, you have access to a wealth of information concerning your health issues, the treatments, and the risk associated with those treatments. You should not rely solely upon a doctor to make health decisions for you. Second, educate yourself about your condition. Be prepared to ask important questions, and be prepared to judge the answer that your doctor provides to those questions. Is he/she knowledgeable about your injury or condition? Are his/her answers consistent with the literature that you have read concerning the issues that you face? Does he/she seem willing to listen, answer questions, and discuss your healthcare issue with you? If not, you clearly have the wrong doctor. Third, educate yourself about your doctor. There are several things that you should look do as you educate yourself about the doctors with whom you choose to meet. 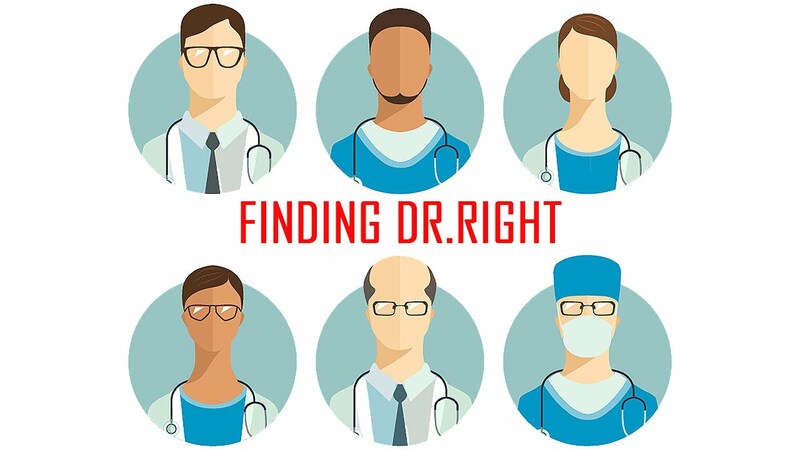 Google your doctor and find out what others are saying about him/her. Go to the doctor's website and look for qualifications. It is especially important that you confirm that your doctor is “board certified” in the area where he/she practices. For instance, if you are dealing with a gastrointestinal issue, you want to be certain that the gastroenterologist that you are treating with is board certified in gastroenterology. If you have diabetes, you want to make sure that your doctor is a board certified endocrinologist. What does it mean for your doctor to be board certified? Board certification is a process created by various specialty organizations. Anesthesiologists have their organizations, emergency doctors theirs and other specialties each have a specialty organization representing their interest within that field of medicine. Most of those organizations have a board certification process that involves both a minimum requirement of experience and a written examination to test the proficiency of the physician in that area. If your doctor has the experience that you should want in a physician and the requisite skill, he or she should be board certified. If they are not, I would not encourage my clients to treat with that physician. Find out if the doctor you are seeing specializes in the very specific area of your health issue. For instance, within the field of orthopedic medicine, there are a huge number of subspecialties. There are doctors who do nothing but knees. Other doctors focus their practice on the shoulders. When my wife recently required carpal tunnel surgery, we sought out a specialist who focused the entirety of his practice on the hands and wrists. The more focused a doctor’s practice, the more knowledgeable he will be in that area of medicine, the greater his/her level of experience will be with your particular issue and the more likely you are to receive outstanding care. Find out whether your doctor has published in the area of medicine at issue. Has your doctor contributed to the literature in the field of medicine in which he practices? Not all doctors do. However, in my experience, truly talented and experienced doctors have made a contribution to the medical literature. Either they have participated in studies that were later published or they are doing primary research in the areas where they practice. Those doctors should be particularly knowledgeable and helpful to you. Finally, you must be comfortable with the person who is treating you. The physician/patient relationship should be a collaborative effort. The doctor should be willing to listen to you and discuss your condition and the many options for treatment that are available to you. If your doctor is unwilling to spend time with you or if you are uncomfortable discussing your condition with that doctor, you should certainly find another doctor. One additional thought: always, always, get a second opinion prior to any major surgical procedure or hospitalization. There is simply no downside to a second opinion, and the advice and thoughts of another physician can do nothing but better inform your choices and assist you in making a better decision concerning the procedure. In the medical field, it is common for us to rely upon our doctors. In this age, doctors are provided incentives by drug companies, medical device manufacturers, and the hospitals that employ them to provide certain treatments or limit their time with patients. It is imperative that we, as patients, take a far more active approach to our own health care. I hope that this article is helpful to you if you are facing important health care decisions.